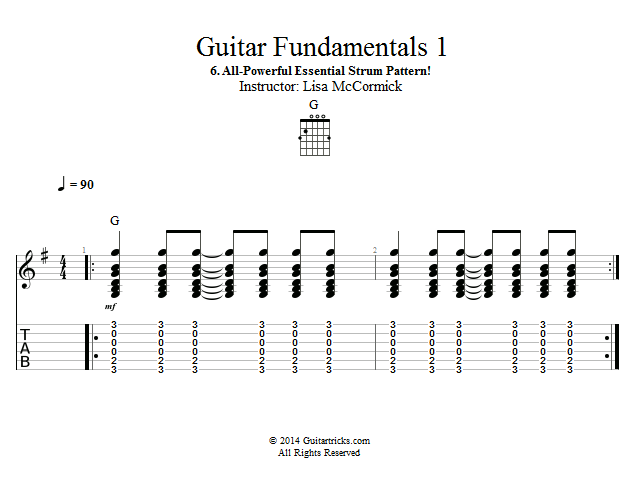 Guitar Lessons: All-Powerful Essential Strum Pattern! 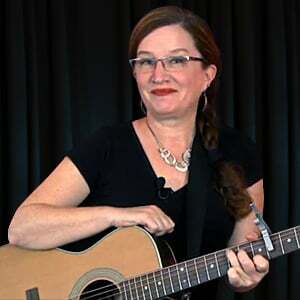 This strumming pattern you are about to learn is the NUMBER ONE most popular and versatile and powerful strumming patterns in guitar! Pay close attention to this one, and really get it under your belt. Make sure your downstrokes and upstrokes are properly aligned, and you are not breaking out of the 'pendulum motion' of the right strumming arm. You'll hear this pattern in all kinds of guitar music, from rock to blues to country to folk to metal, and everything in between.